A Word About the HeroesCon Art Auction-- This Weekend! Hi Ya'll-- I'm gonna throw my two cents out there to put in a word about the upcoming HeroesCon, run by our friend Shelton Drum. Shelton also owns one of the best comic shops we've ever been in, Heroes Aren't Hard to Find, in Charlotte as well. This is certainly one of our favorite shows, and fate willing, we never miss it. This year, I'll be there with Michael Golden and Mark Texeira. Other friends of ours will be in attendance as well! Yeah! And I have to say, it's one of the most purely comic and comic art shows still alive today. To help this great show's bottom line, many of the artists in attendance donate art to the con's auction. These funds go to helping bring the creators you want to see, back every year. As a result, you art collectors out there can snag some incredible deals on one of a kind pieces. I know that both Golden and Texeira will be contributing this year. I'll also put some of my new books in the auction as well. 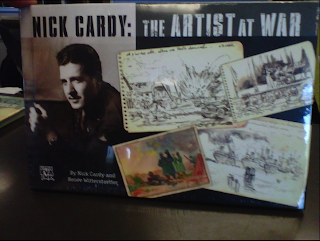 While I'm at it, let me mention that I'll also be debuting my new book "Nick Cardy: The Artist at War," at this convention, and Nick Cardy himself will be in attendance! There is also a panel scheduled on Friday night to talk about Nick and his careeer. More on that in my next press release. In the meantime, below is Allison Sohn's shout out to all you artistic types. And for you collector's out there, this event is not to be missed! Dear Friends, Fellow Artists, and Legends! …and Yes, I said Legends. You know who you are. But just in case you don't know who I am, I'll take a moment to introduce myself. My name is Allison Sohn and I have run the HeroesCon art auction on behalf of Shelton Drum for the last few years. Many of you may know me better as Adam Hughes' wife, or that bossy redhead that runs Adam's table at conventions. I'm dropping you this email today regarding the upcoming HeroesCon art auction. Many of you have attended before, so you know the drill. However, for some of you, this may be your first time attending HeroesCon -- or maybe it's just your first time in 10 years. Either way, I thought it would be helpful to everyone if I sent out this letter. Many people ask what the auction's proceeds benefit. The short answer is "Us". The proceeds from the auction help to pay for invitedartists’ travel and accommodations for the event, while allowing HeroesCon to keep their ticket prices some of the lowest on the convention circuit. Art donations frequently transform an “attending professional” to an “invited guest.” The more money raised in the auction, the bigger the budget is for next year’s show. For those that weren't aware, a three day pass for the show is only $30, and children under the age of 12 get in for free. Prices this affordable allow whole families to attend the show, bringing in a new generation of fans along with the old one. And its all possible due to the donations of original artworks by the attending artists for the art auction. The art auction has 2 different aspects to it: a Saturday night live auction an all-day Sunday silent auction. I, with the help of a handful of HeroesCon staffers, divide the art donations into the two groups. The truth of that matter is, we get so many donations it is impossible to include everything in the Saturday night event. We will often choose smaller sized pieces that might be difficult to see at the live auction, donated prints, and art that arrives too late for Saturday night's event for the Sunday afternoon one. We will also save several of what we'd call the "premium" pieces for Sunday, so that fans are drawn to the silent auction as much as they are the live one. 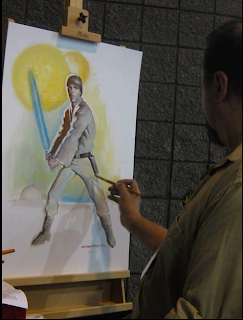 Either way, a piece of art in the auction serves as a nice promo for the contributing artists and sometimes, especially with really dynamic pieces, brings fans and pros alike to your artist alley table to buy commissions. I think that about covers it; what the HeroesCon art auction is, and what you can do to help make it a success. I look forward to seeing you all in Charlotte in a few short weeks, and to personally auctioning off your donations! Above: Mark Texeira and Michael Golden work on pieces for last year's HeroesCon auction! Phoenix ComiCon Rises this weekend in the Valley of the Sun! Arizona-- Rising, like well, the Phoenix in the Valley of the Sun, this year's Phoenix ComiCon has expanded to four amazing days, May 26-29th. 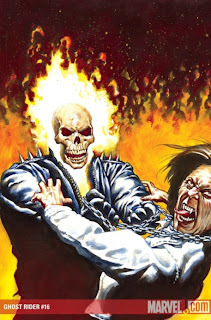 And, on hand for the red-hot show are amazing artists Michael Golden, making a return to the show, Mark Texeira and Joe Jusko. Legendary comic creator Michael Golden is known for his work on Rogue, Spartan X, Bucky O'Hare, "G.I. 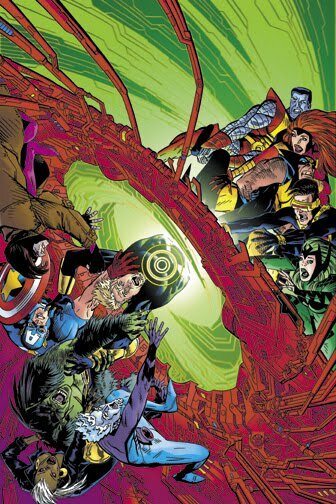 Joe," Doctor Strange," "Batman Family," "The 'Nam," and so much more. 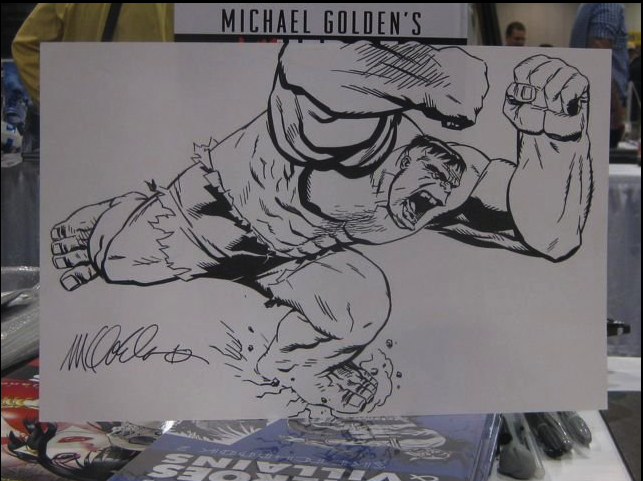 Current books on Golden, including his sketchbook "Michael Golden: MORE Heroes and Villains," will be available at the convention. Stop by his table for more information. Fine art painter and illustrator Mark Texeira will also be returning to Phoenix with his new sketchbook, the hardcover edition of "Mark Texeira: Nightmares and Daydreams." 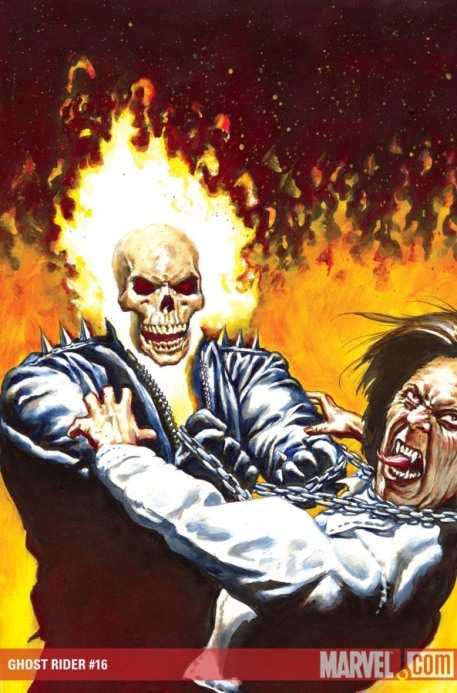 Mark is known worldwide for his work on "Ghost Rider," "MoonKnight," "Black Panther," and will be known soon for two Punisher mini-series slated for release! 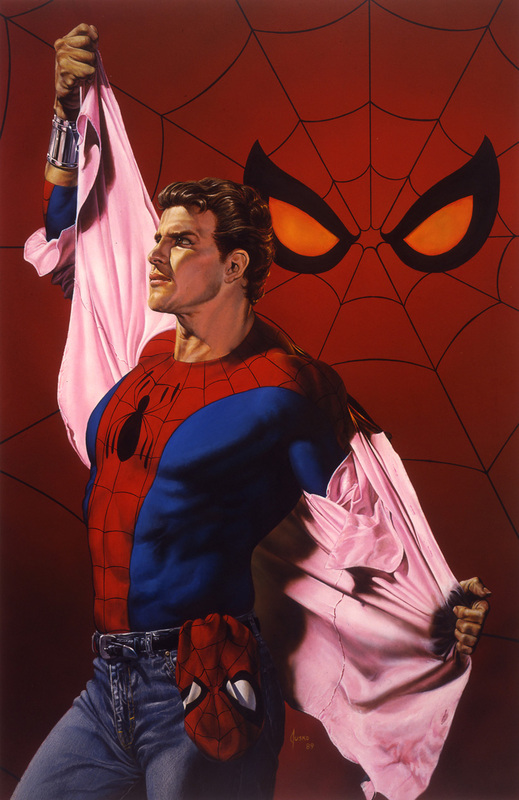 Wondrous painter Joe Jusko joins the cast as well at this event. 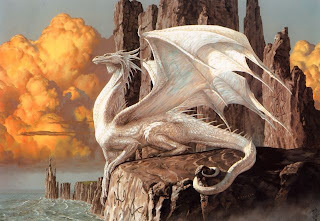 You no doubt have seen his amazing work on the Marvel Masterpieces trading card series, cards on the works of Edgar Rice Burroughs, and some new amazing covers from Dynamite Entertainment as well as SO much more. 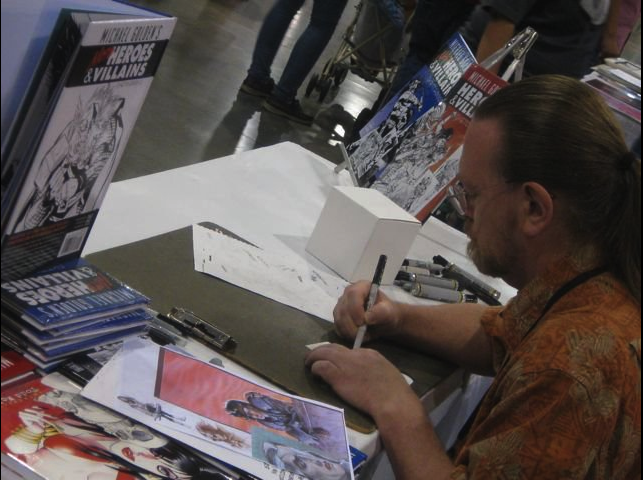 Joe will have copies of his new sketchbook from Eva Ink publishing at the show, "Joe Jusko: Savage Beauty." Joining the line-up at the convention are other wonderful creators and actors: Billy Dee Williams, Elvira, Ernie Hudson, George Takei, inker Rodney Ramos, Billy Tucci, Ethan Van Sciver, J. Scott Campbell, Jim Calafiore, Joseph Michael Linsner, Larry Hama, writer and publisher Renee Witterstaetter (Eva Ink) and many more! TOO many to list here, in fact. "We present the chance for fans to meet with your favorite actors and get their autograph (and have your photo taken with them!). 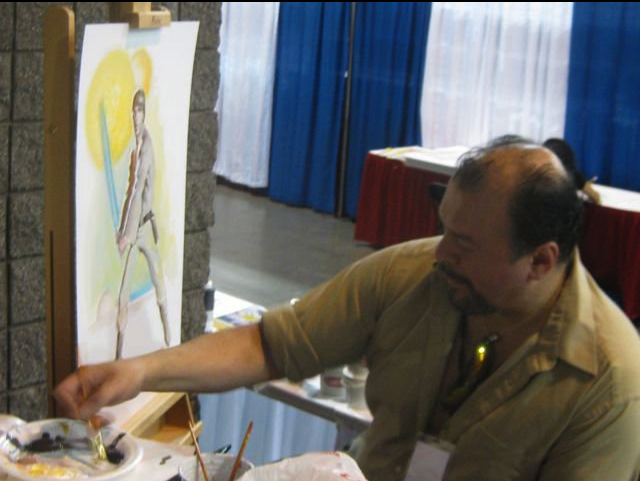 We bring out the top comic book writers and artists in the industry, feature many genres from pop culture and present a full weekend of events and activities for you and your family," says Matt Solberg, the Convention Director. Festivities kick off Thursday afternoon and continue throughout the weekend. Spend the day checking out the exhibitor hall, meeting actors and writers, buying that hard to find collectible item, then attend concerts and dances that last till 2AM on Thursday, Friday, and Saturday night. Full event passes are only $35 till the weekend, and kids twelve and under always get in for free (with paid adult membership). "As you can imagine, we're stoked," says Solberg "And can't wait to show you why the valley of the sun is the most fun place to be this Memorial Day Weekend." The Phoenix ComiCon takes place May 26th-29th at the Phoenix Convention Center and Hyatt Regency. It's Comics Coast to Coast with Big Wow and Big Apple this Weekend! May 20th--It's a Double Whammy true believers, as this weekend two great shows are talking place, spanning the coasts! So no matter where you live, you can hope on a train, plane or automobile to get to one of 'em, perhaps. Eva Ink Artist Group will have folks at both shows as well! Big Wow! ComicFest (formerly Supercon), will be hosting artists Michael Golden, Mark Texeira and writer Renee Witterstaetter on Saturday and Sunday. The event will be held at the San Jose Convention Center, in the historic and charming downtown part of the city. Featuring two great days of comic books, art, anime, fatnasy, gaming and costumes. Joining Golden and Texeira is a line-up of other Great Comic artists including: Adam Hughes, Frank Cho, Mark Schultz, Sergio Aragones, Steve Englehart, Travis Charest, Sanjulian, Aaron Lopresti, Matt Wagner, Don Rosa, Brandon Peterson, Humberto Ramos, Bill Morrison, Dean Yaegle, Terry Moore, Travis Moore, Tim Vigil, Talent Caldwell, Sean "Cheeks" Galloway... and SO Many More! On the East Coast, drop into the strategically located Penn Plaza Pavillion and Wizard Big Apple to meet a slew of amazing creators including writer and film historian Ric Meyers, editor Jim Salicrup and artist Rodney Ramos! Other guests include the legendary Neal Adams, Jim Cheung, Jerry Robinson, Greg Horn, Arthur Suydam, Luke Ross, Herb Trimpe, Chris Batista, Daryl Edelman, Dennis Calero, and many more! The show boasts some great media guests as well. Including Tom Felton, aka Draco Malfoy from the Harry Potter movies and James Marsters, aka Spike from the Buffy television show. Wizard shows also feature wonderful panels, photo ops and autograph areas-- all right across from Madison Square Garden! So, what are you waiting for, make your travel plans now. My friend Albert owns a fantastic Sushi restaurant in Manhattan called Ginger. They have the most unusual rolls anywhere. Things like Peanut Butter and Eel. Really it's fantastic! I'll write a review of them sometime, but it will be one place where I'll be able to only find something good to say. Check it out. First Look at New Nick Cardy Book! It's always grand when you see one of your new creations for the first time, and the idea becomes flesh. Snatched from the air, and materialized. I'm very happy to be a part of this new book "Nick Cardy: The Artist at War." It was a great deal of fun to write, and an honor to publish. In case you haven't read my previous posts on this book (which you can do in my achieves), this book chronicles Nick's time and sketches that he created overseas during World War II. It's one man's journey, documenting an important part of history. After the war, Nick of course went on to be a renowned illustrator and storyteller for comics, movies and commercial advertising. Eating Manhattan-- Finding Jing Fong! You don't have to ask me twice to go have Dim Sum. My favorite place has always been a chaotic and Chinese-centric establishment called Triple 8 Palace at 88 Broadway under the Manhattan Bridge. The din of the clanging dishes, chaos of the carts, and array of food always make me feel like I'm back in Hong Kong. It's the place where anyone visiting me from anywhere is taken for the closest to authentic Dim Sum experience I've had in the Big Apple. You see, I'm also open to having my mind changed when it comes to the "best place for this" or the "best place for that." So, on our Wednesday excursion when Ric suggested a different Dim Sum place on Elizabeth Street, I was game! Jing Fong is located off of Canal about mid-block on Elizabeth in New York's Chinatown, and the lack of a true store front may have you missing it completely if you are not careful. One almost needs a trail of fortune cookie crumbs to find the place! The decorators have missed the obvious opportunity with the wall space to put anything calming or soothing on the bare walls as you ascend, giving you plenty of time to think about your boot laces getting stuck in the teeth...or wondering if that lady with the two roller shopping bags will stop at the top, bottle-necking the few folks behind her...or thinking about just getting OFF. Yup...Plenty of time! Ric arrived before I did, as he usually does. But when I entered the cavernous eating arena, the lady seemed to know just who I was looking for. Ric had already staked out his prime spot closest to the stream of food trolleys, tenaciously careening about. He stood up, waved--that unmistakable bearded beacon in the gilt and red array that was the fashion of Jing Fong (and almost every Dim Sum restaurant for that matter). He'd already ordered me hot sauce too. Nice man. For those of you that are Dim Sum virgins, let me explain the process at this juncture. In a true Dim Sum establishment, ladies push around carts filled with all sorts of delectable morsels. You ask them to stop, look at what they have, and pick accordingly. Each plate you pick is then marked on your score card, and at the end of the meal, you are charged by the plate. Dim Sum is nothing is not a competitive sport. As the first cart pulled into the station, and the pusher was calling out her wares. I listened intently for my favorites, and asked for them in my limited and rusty Cantonese, when not found--which was more often that not. My Cantonese served me well, though. And I have Jackie Chan to thank for that. I picked up a bit of the language with Jackie in Hong Kong for various movie set visits and publishing endeavors. He always tells wonderful jokes in Cantonese, and was sweet enough to translate them for me. 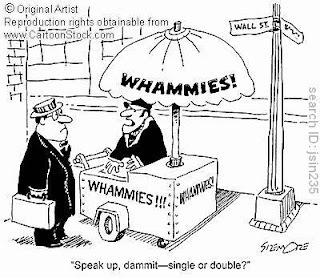 One day when I lamented that I couldn't understand the jokes as they were told. His response was "then learn some Cantonese before you come back." I said "I will." I did so, and on my next trip proudly told him I knew a little Cantonese, and jokingly said "You'll have to watch what you say now." Without missing a beat, Jackie punched me in the arm, and said "I'll just speak Mandarin." Ohhhhhh…that guy! I never have been able to have Dim Sum and not think fondly of Jackie and his gang. A gregarious and wonderful lot. 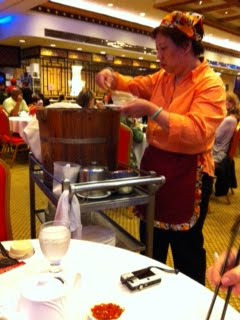 The hum of a good Dim Sum restaurant reminds me of many similar times elsewhere, eating family style with good people. Certain smells always bring back vivid scenes to mind, don't they? Most of the time in full Technicolor. Jin Fong was a kalidoscope. So, armed with my limited vocabulary, a sharp nose, waiting stomach, and lovely memories, I dived in, and the table was soon full of (I'll just spell them in English), shrimp dumplings, roasted pork buns, beef noodles, red bean buns, tofu with sweet almond sauce, and some miscellaneous stewed meat that Ric took a chance on (hot sauce can fix almost anything you know). It was a colorful array...but...and here it goes... not really quite the palette we wanted to throw together. Okay… I hoped I wouldn't, but I have a few complaints about Jing Fong. 1.) Ric and I arrived around 2:00 which is still Dim Sum time, albeit a late one. But the carts at Jing Fong, had been picked over, and there wasn't much of a selection. And the carts that were empty were not being restocked, as if they just wanted us to settle for what they had. Sorry, but I was not in the mood for 10 plates of chicken feet. 2.) As such, the food we did get, was not that fresh, with the exception of one Shrimp dumpling (Ha Gau) that I ordered towards the end, which was steaming and tender. Everything else was kind of tough, and room temperature--looking like the kids last to be picked for the soccer team. 3.) 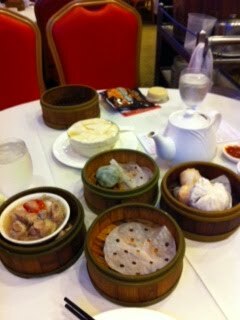 Because of the issues mentioned above, I didn't get many of my favorites-- rice steamed in leaves and stuffed with meat, lotus buns, Mexican buns, shrimp stuffed flat noodles-- you know, pretty standard fare for a Dim Sum place worth it's soy sauce. 4.) When I asked the higher ups for the wrapped rice, they said, "no more." No attempt to offer us anything not on the carts. 5.) And this one is just a personal preference, but I generally don't go to Dim Sum places too full of non-Chinese. The food generally is NEVER as good, prices are higher, and they cater to a Western palette. This place had hardly an Asian face to be seen that wasn't wait staff. Not really a good sign. 1.) The staff is very friendly. Especially the tofu lady. She almost adopted me. 2.) The room is extremely large like most Dim Sum places, FYI if you plan to host a party. 3.) Price is very reasonable, as compared to other places that try to draw the Western crowd. 4.) The bathrooms are large, and very clean-- some of the cleanest I've seen in this part of the city. So, when it was all said and done, and the room boss tallied up our bill, we'd had roughly 12 plates. Despite the lack of freshness, we were full! And our pockets were not light either after paying. The total bill came to $26. for 2 people! In case you were wondering, that's a jaw-droppingly good price! Final analysis. I'd like to try Jing Fong again, earlier in the day, and see if I like it better. I wouldn't come again at this time though. In truth, I wouldn't come here again anyway if I had to choose between Jing Fong and Triple 8. So, if you only have time for one Dim Sum in Manhattan, with no time to take a chance, I don't think this is the chance you should take. It just didn't win me over. Me... and other folks as well. The Chinese as a culture--they know Dim Sum. It's a societal event to ask someone to "go have tea"--the term for partaking of Dim Sum. In short-- It's a national pastime. If they weren't here, they were somewhere else. Tell me where, and I'll be there next Wednesday.